The world can change in a blink of an eye. 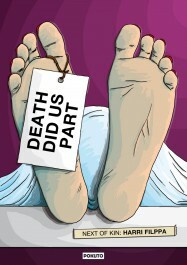 Death creates a change and the finality of it is difficult to understand. 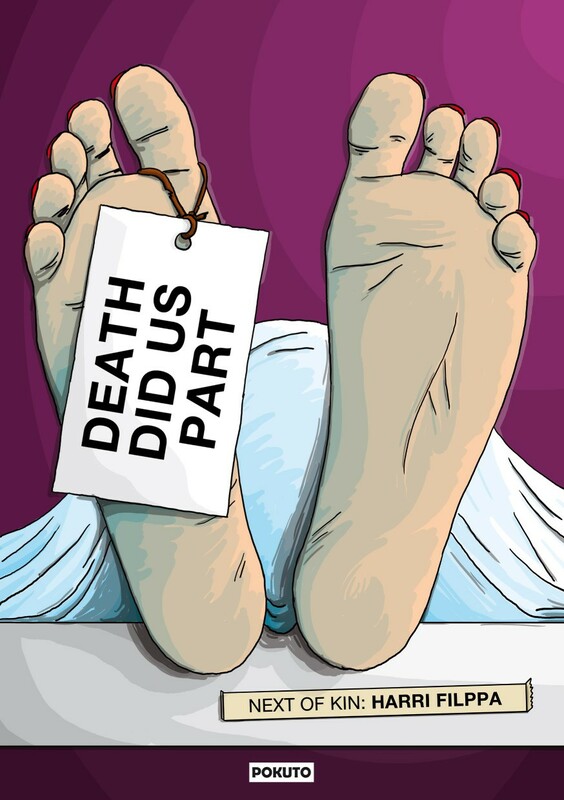 Death Did Us Part tells a story of a young widowed man based on true events. After a tragic event comes a time when life and death come together. The story does not try to offer answers to great questions of life, but rather different perspectives to understand the fragility of life and how to cope with thoughts related to that. The story is about grief, happiness, rage and joy although in the end, this book is a survival story. Dramatic event makes memories to fade. The book is based on the artist’s notes – writings, drawings and comics that were created during the grief process. The events jump back and forth in time and place like the chaos grief creates inside one’s mind.